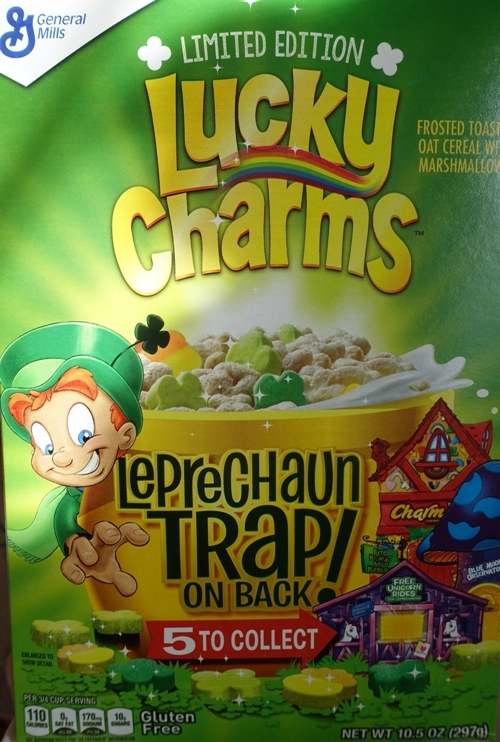 Several weeks ago I ran across a limited edition box of Lucky Charms and just had to put it in my grocery cart. 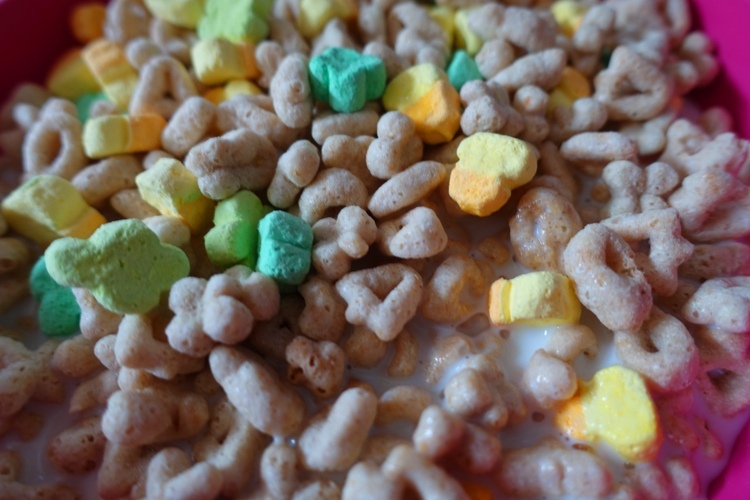 I will occasionally buy a box of Lucky Charms just for a nostalgic bowl of cereal. It has always been one of my favorites. 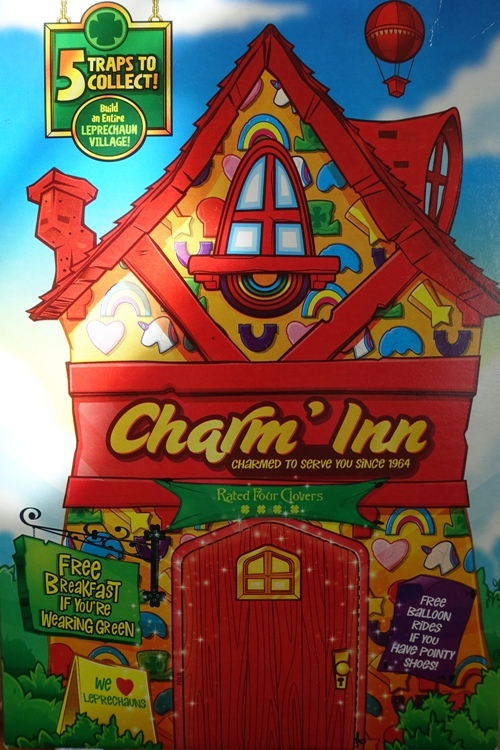 The back of the box had a Leprechaun trap. You could collect five different ones and have a village, but I stopped with just the one I picked up. The back of the box was full of images of St. Patrick’s Day. Of course the marshmallows all have the color theme for St. Patrick’s Day. It was nice to enjoy a delicious bowl of Lucky Charms. 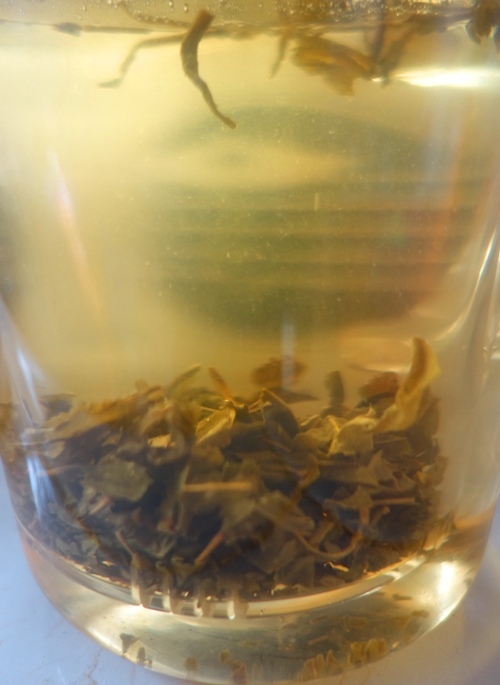 Then it was time for some green tea to further celebrate. This entry was posted in Culture, Food, Holidays, Tea and tagged Cereal, green tea, Jasmine, leprachuan, Lucky Charms, St. Patrick's Day. Bookmark the permalink.